I was scrolling through my iPhone the other day (4,000+ images) and was amazed at how many photos I had of Finlee (my 7 year old) and Chloe (my 3 year old). However, I was shocked at the lack of photos I had that included me in the photos with the kids. What if I died tomorrow? If I died tomorrow I could only imagine the heart ache that Finlee and Chloe would have. I could also imagine they would long to want to hold onto our memories together. The memories that would take them back to a moment. Where they would be able to hear the laughter, smell the smells and feel as if I were still there with them. It really hit home that if I were to die tomorrow, Finlee and Chloe would have very limited photos of me. So today I pledge to start taking photos with my kids and I encourage you to do the same. Get your camera out. Take selfies, have your partner/family/friends or even a random strangers capture your moments. One day, all Finlee and Chloe will want is to have photos of me. They won’t care what my hair looked like, that I had bags under my eyes, that my muffin top was hanging over my shorts and that I had meat in my teeth; they’ll just want to see me. They’ll just want to hang onto that memory. 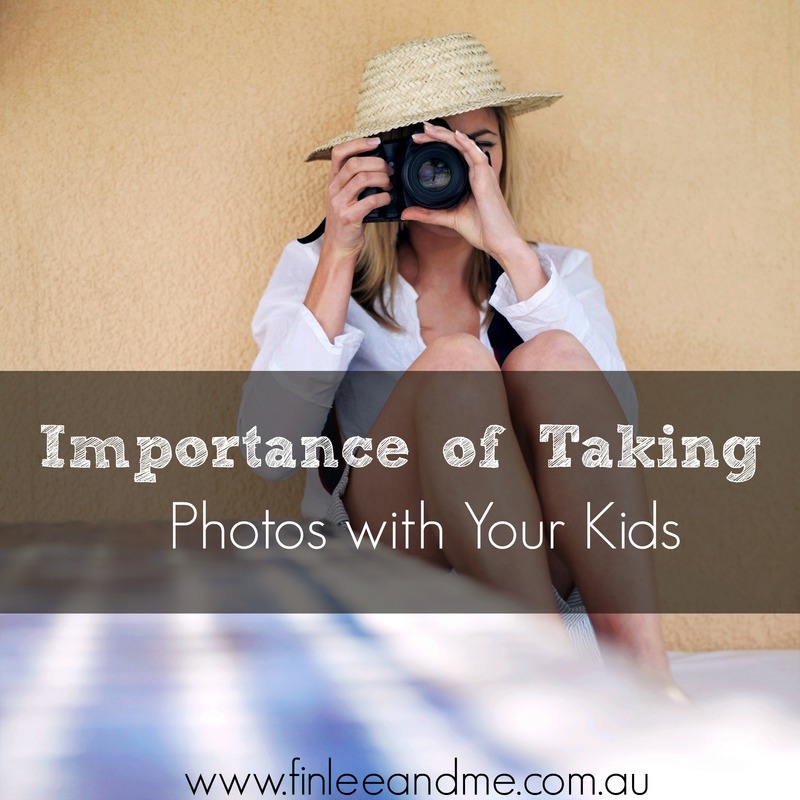 When was the last time you took photos with your kids? Angela is an author, entrepreneur, blogger, mental health clinician and most importantly a mother. She explores various topics related to parenting/children on her blog and also in her three books: 30 Days, 30 Ways for Mothers to Take Care of Themselves, 30 Days, 30 Ways for Connecting with Your Child and Healthy Snack Ideas for Kids. Connect with her on Facebook, Instagram and her website Finlee and Me. I have to admit, I totally avoid the camera at all costs, but I completely agree with you. I must make any effort to get into photos with my kids. Thanks for the great reminder Angela.